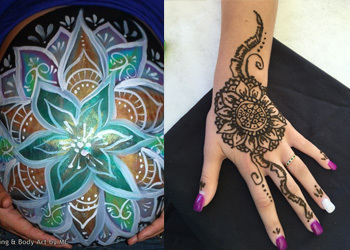 North San Diego County Henna Tattoos, Face Painting, Glitter Tattoos, Belly Painting, Sugar Skull and more! 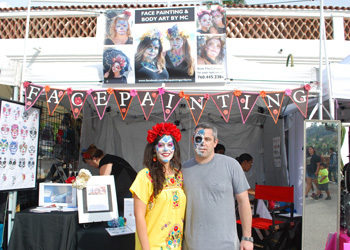 Face Painting & Body Art by MC provides fun and unique face painting for any occasion, as well as, henna tattoos, glitter tattoos and much more. 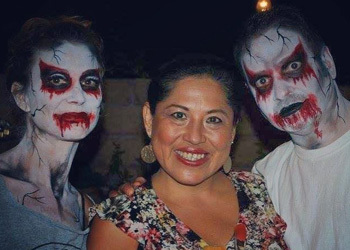 Artist MariCarmen demonstrates first-class experience through her work and will help you turn your party into an event that everyone will remember! 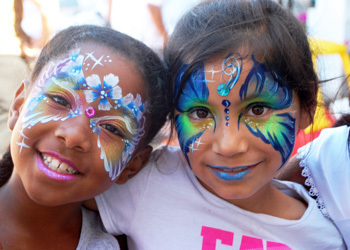 Do you need a face painter for a festival, holiday, or corporate event? If so, contact us today for booking and pricing information. Get a quote. We specialize in sugar skull designs. We are passionate in bringing your vision to life. We take pride in our detail-oriented designs, and find creative ways to achieve a unique, stunning result. Contact us for pricing information. 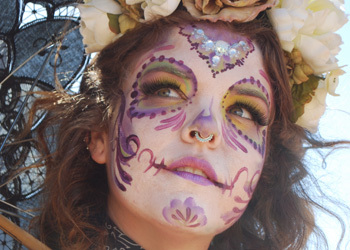 Face Painting & Body Art by MC offers appointments for your next gathering. The power of face painting and/or body painting will give you a one-of-a-kind costume and ensure you stand out from the crowd. If you prefer to not buy a standard costume, face and body art paired up with your outfit is the way to go! Please remember, we are very popular during October due to Halloween; contact us in advance to ensure your appointment. We offer private belly painting and henna tattoos appointments. Contact us for pricing information. Located in Oceanside serving Carlsbad, Vista, Encinitas, San Marcos, Escondido, Fallbrook, Poway, Cardiff by The Sea, Solana Beach, Rancho Bernardo, Del Mar, La Jolla, San Diego, Temecula, San Clemente and surrounding areas. If you’re looking for a spark in your next event, don’t think it twice! We offer a high quality of service for your next birthday party or event. We can meet your needs whether your event is large or small. We offer a wide selection of professional unique designs that range from fast and simple to sophisticated and unique designs. Let our team of professional painters delight your group with attractive, unique design fast. We use professional, top quality paint and products, designed to be safe on the skin. Fun and professional face painting experienced artist, MariCarmen Vargas, perfect for family gatherings, birthday parties, baby showers, fancy dress, corporate events, business promotions, prenatal belly paintings session, henna tattoos appointments, grand openings, holiday events, company picnics, small and large community events.... We can do it all!